J&K Bank on Thursday commissioned an Automated Teller Machine (ATM) at Kamangarpora of Downtown area Srinagar. 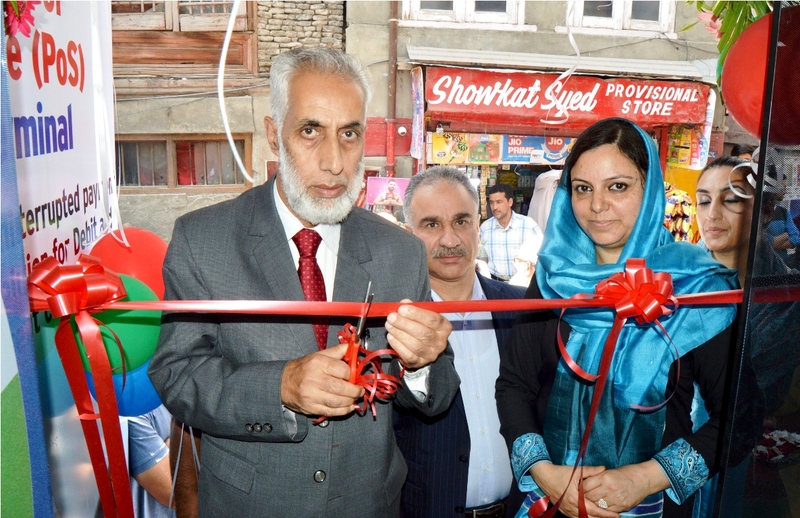 The ATM was inaugurated by the Bank’s President Abdul Rashid Sheigan along with Zonal Head Kashmir Central 1 Tabasum Nazir in presence Fayaz Ahmed Malik Cluster Head, Chairman Shehri Khas Traders coordination Committee Nazir Ahmed Shah and other locals and businessmen. The spokesman said that while inaugurating the ATM, Abdul Rashid Sheigan reiterated the bank’s conviction of taking banking facilities to every nook and corner of the state.